We are so proud of our first ever graduates. They have certainly set a high standard for our current and future students to follow. You can still get a good impression of their cutting edge final collections and projects by visiting graduates class 2016. 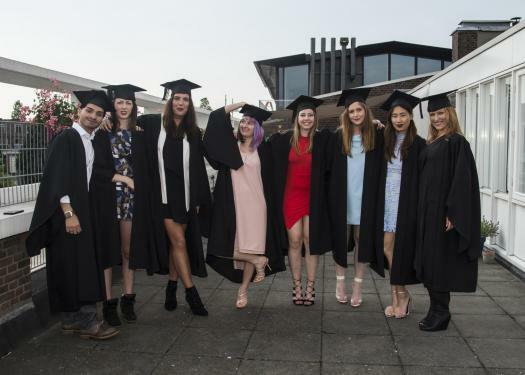 Manuel, Alicia, Laura, Fanni, Sophie, Britt, Suzanne and Thi-Lien, we wish you a great future in the fashion industry.